In Virginia Woolf’s essay “The Mark on the Wall,” her narrator sits by the fire on a cold January day, when she suddenly notices for the first time a mark on the white wall above the mantel. Admitting to “not being a very vigilant housekeeper,” she wonders whether the mark could be left by a rose-leaf from last summer. Or could it be a nail hole from a picture hung long ago? Or perhaps a crack in the wood surfacing after generations of life in an ancient house? All of these possibilities lead the woman down various paths of reflection—about the fast pace of the modern world, about the upheaval of World War I, about the fragility of life, about the fine line between reality and illusion. At the end, a man (presumably her husband) interrupts her train of thought to tell her that he’s going out to buy a newspaper—and that, oh, by the way, there’s a snail on their wall. The snail is a comic ending (yes, this passes for comedy among the high Modernists—I promise) to Virginia Woolf’s stream-of-consciousness meditation on life. But the truth of Woolf’s essay is that it doesn’t really matter what’s on that wall. One man’s snail is another woman’s rose-leaf, as it were. What matters is the thought inspired by that one little mark, a snail leaving behind a trail of interesting ideas. 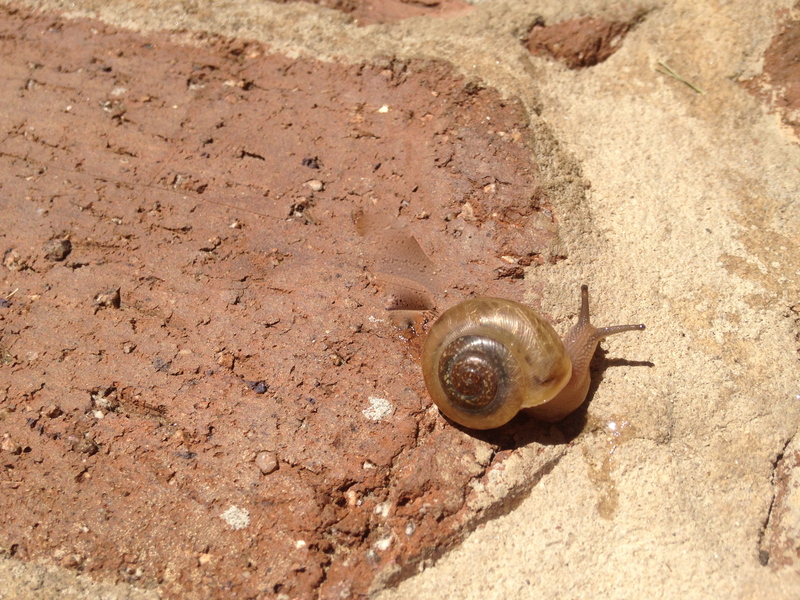 This blog, The Snail on the Wall, offers an opportunity to think about literature and life. We’ll look at all kinds of literary works—from the so-called classics and contemporary reads to fairy tales and poetry—and we’ll share various perspectives. Together, I hope we’ll inspire each other to consider all kinds of possibilities for those marks on the wall, the marks on the pages of literary history. Mine is just one perspective. Yours is another. And they are equally valid in the big picture of life and literature. Thanks for visiting. I hope you’ll follow The Snail wherever it may lead us.